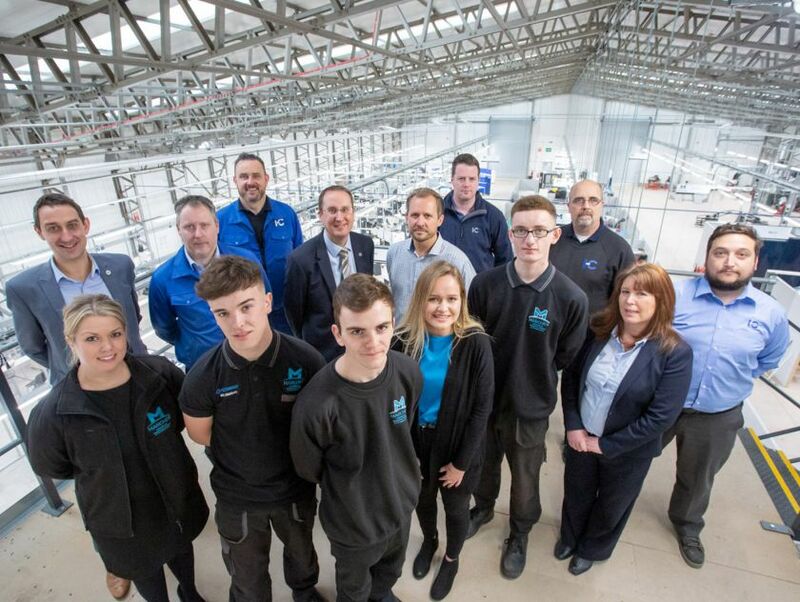 Matt Snelson, managing director of the Marches Centre of Manufacturing & Technology (MCMT), used the £4m facility’s first birthday to issue a major call to arms for local firms, schools and pupils to take full advantage of the courses and capabilities now on offer in Bridgnorth. He believes that the employer-led consortium has fulfilled its part of the bargain by tailoring trailblazer apprenticeship courses to generate the engineers of the future and assembling an array of technical partners that can give SMEs access to machinery and ‘tech’ usually outside of their financial reach. More than 200 delegates heard how the MCMT had met its initial targets of apprentices and upskilling opportunities, yet the bigger challenge awaits with apprenticeship recruitment ramping up rapidly and a commitment to deliver hundreds of upskilling courses. “There’s an old saying that ‘build it and they will come’…well now is the time for industry, our schools, parents and people - both young and old - to prove that theory,” explained Matt Snelson. He continued: “What this means in layman’s terms is that companies will need to replace the workers they are losing and should to be looking to recruit a minimum of three apprentices per hundred employees each year in order to just stand still. “Equally important is the need to future-proof your workforce to ensure they have the skills you are going to require in the longer-term. That’s exactly what we are offering at MCMT with a lot of the equipment being the same as the technology our apprentices will be operating when they go out on to the employer’s shopfloor and engineering functions. And the centre is also proving that apprenticeships are not just for teenagers. Shaun Macken is proving that there is no age constraint to becoming an apprentice having just enrolled on a maintenance mechatronics engineering trailblazer at the age of 36 years-old. The former postman decided that he wanted to pursue a different route that could offer him continual progression and decided to choose a career in industry. He’s only eight weeks into his current course and has already used previous experience to fly through the first tasks and is now looking forward to testing his skills on the MCMT’s £1m CNC Zone, which features 3 and 5-axis machines. Shaun admits the first few days were quite difficult at MCMT, with most of the other cohort half his age, but that soon changed as soon they were all learning and doing the same things. “A lot of my jokes go over their heads but now I’m just seen as another member of the cohort. My previous jobs probably give me a practical advantage, although the youngsters certainly have the edge with maths and some of the new technology we will be using."